Outside of general engineering and petrochemical pipelines, fencing is one of the largest markets in the steel industry. 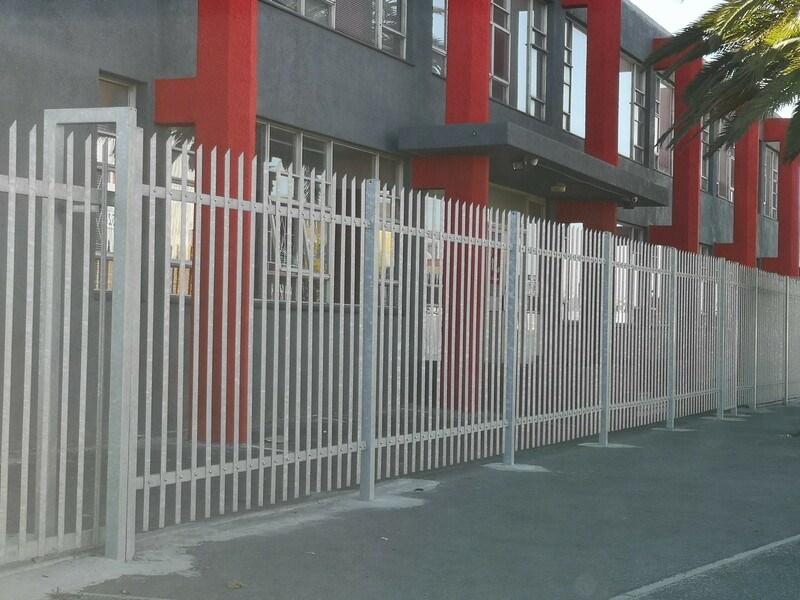 • We are proudly recognised as the leading supplier in the Western Cape Fencing Industry. • Standard heights are 1.8m, 2.1m & 2.4m. panel width is 3.0m. Matching posts in 2.4m, 2.7m & 3.0m are available as end, corner and intermediates. • These are available in a dark anthracite colour and green, as well as standard Zincalume if necessary. Roll formed pales for perimeter fencing. Made to length, in 50mm & 65mm widths. Residential and industrial usage. Hot dipped galvanised, bolt together DIY system with gates & post. Standard heights 1.8m, 2.1m in 3m wide panel. Every security situation is different and that is why Betafence security solutions can meet the most divergent of needs. Betafence always proposes the most suitable approach based on the specific situation, the security level required and the risk assessment.